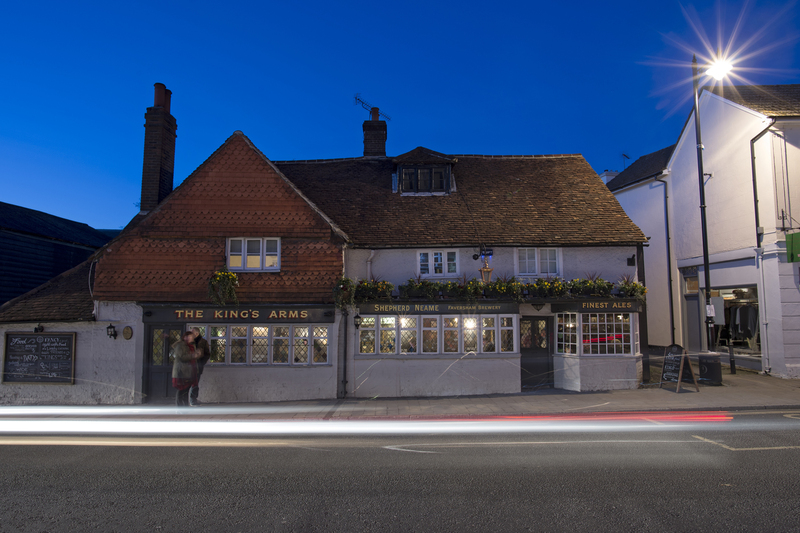 A royal welcome awaits at the King’s Arms pub in Dorking, where food and drink fit for a King is served up in historic surroundings. 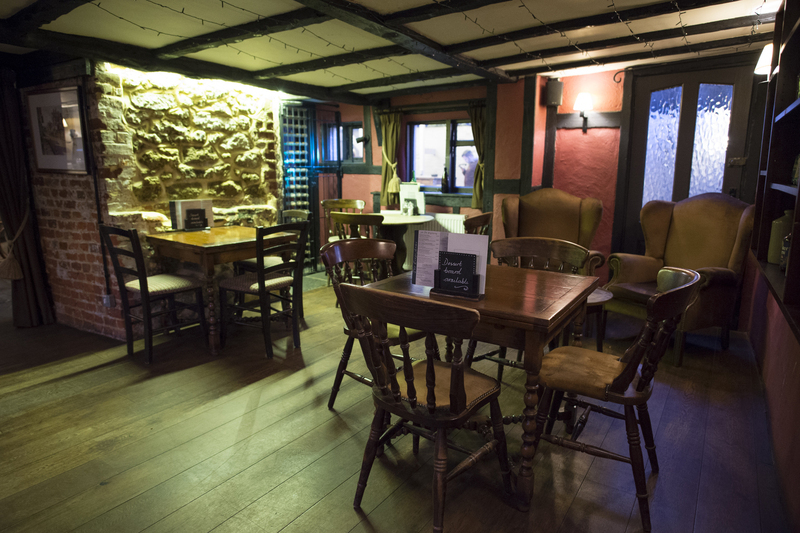 Built in 1405, it’s believed Charles II once stayed at the pub during its days as a coaching inn, while another famous Charles - Mr Dickens, no less - wrote about the place in his novel Little Dorrit. The story these days is one of traditional charm, fine fare and friendly service. 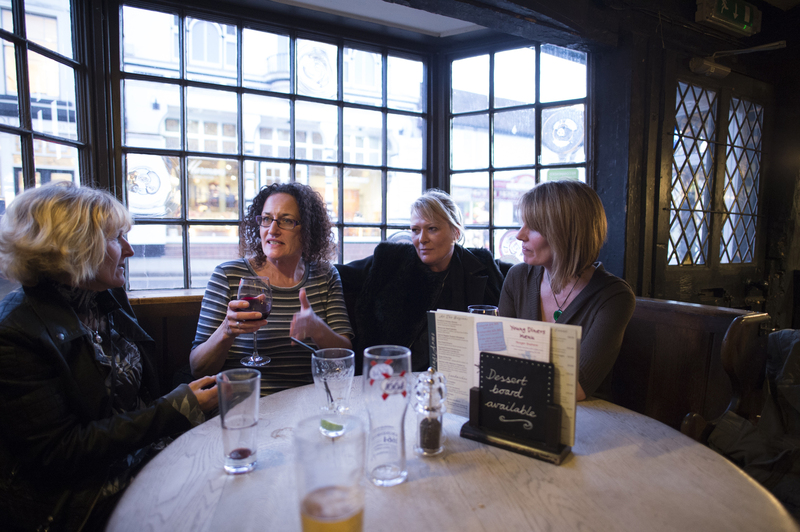 Cask Marque approved ales, superb wines and freshly prepared food can all be enjoyed inside or out - with four levels of cosy alcoves and original oak-beamed ceilings to explore indoors, and two fabulous courtyard gardens outside. Our larger courtyard features a 50” outdoor TV screen, perfect for a summer of sun and sport. The space even has a sporting theme - decorated with bicycles to celebrate the use of nearby Box Hill for the cycling events of the 2012 London Olympics. The smaller courtyard is more simply decorated, and the perfect choice for a relaxed drink or intimate alfresco meal. Whether you’re looking for a pint in the sun, a proper pub lunch or a family dinner in special surroundings, head for The King’s Arms and get the royal treatment. Lovely food - Opted for the steak pie which was lovely. Great service here too. Nice and clean with a nice atmosphere. Sunday lunch was very much enjoyed by fellow diners. Nice pub - Friendly staff, good Pub food and live music on Saturdays. A plus: High selection of beer and a beer garden.